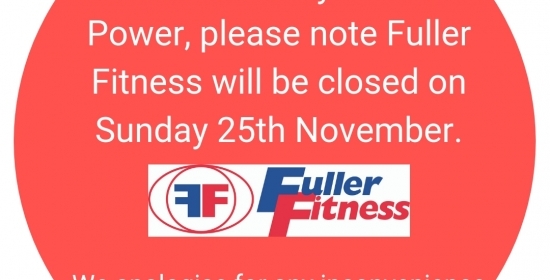 Fuller Fitness Subiaco - A great reputation when it comes to personal training. Fuller Fitness Subiaco offers an affordable range of membership options to suit your busy lifestyle. Partner with us to achieve your health goals! Feeling lethargic or sluggish? Holding unwanted kilos? Confused with info-overload on food? Then this is for you. Fuller Fitness Subiaco has a great reputation when it comes to personal training. Experience the difference today. Fuller Fitness Subiaco offers free personal training sessions with every 12 month membership investment. This is not a gimmick nor a sales pitch. We have found that offering free personal training with one of our qualified PTs as an accompaniment to your 12 month membership not only adds incredible value, but is also an amazing way to kick start your fitness and well-being program. The benefits to you include learning how to safely and correctly use all the gym and training equipment, having an experienced trainer establish a motivating program tailored towards your goals and creating an on-going health and wellness routine without the risk of injury. Fuller Fitness Subiaco was founded by Matt Fuller more than 17 years ago. A family owned business, we have created a fun and non-intimidating, friendly environment in which to train. JOIN NOW - FREE PERSONAL TRAINING WITH EVERY 12 MONTH MEMBERSHIP! Call Matt Fuller on 0410 440 747 to secure this fantastic offer and kick-start your fitness goals. Join our spring into summer challenge today! Call Matt 0410 440 747 to find out more. All of our classes at Fuller Fitness are designed for the novice right through to the advanced participant. [lvca_accordion][lvca_panel panel_title=”RIPPLE ABS “]Who doesn’t want a great 6 pack? Timetable[/lvca_panel][lvca_panel panel_title=”Circuit”]This great cross training class will see you alternating betweeen aerobic and weight stations. Your motivating instructor will guide you through an extensive work out to ensure you are pushed to your limit!! Timetable[/lvca_panel][lvca_panel panel_title=”Boxing”]Our boxing classes will whip you into shape in no time! Timetable[/lvca_panel][lvca_panel panel_title=”WEIGHTS CIRCUIT “]A great workout for the whole body! Timetable[/lvca_panel][lvca_panel panel_title=”X-FIT”]Our X-Fit class is a great combination of strength and interval training performed at a high tempo. Timetable[/lvca_panel][lvca_panel panel_title=”BOX & SPIN”]What do you get when you cross boxing with spinning?